We usually provide exsting sample for free. But a little sample charge for custom designs. So you can just tell us the Pantone color code you need . Shandong Zeyu Houseware Co., Ltd.
Q:What format of the file do you need if i want my own design9 A:We have our own designer in house. If the quantity is large, you can deliver the goods in about 7 days. We have large production capacity, which can ensure fast delivery time even for large quantity. Zhongshan X & W Daily Goods Co., Ltd.
Zhejiang Yuanhot Industry & Trade Co., Ltd.
Shanghai Kairui Industrial Co., Ltd.
And you can choose the colors or materials. But we accept lower quantity for your trial order. Please feel free to tell us how many pieces you need. 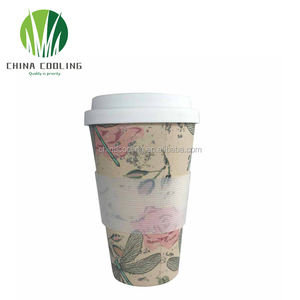 Shenzhen Picus Smart Home Co., Ltd.
Each of our Tea Tumblers are 100% BPA FREE Made of High Quality Stainless Steel And 100 % Natural Bamboo and other Eco-Friendly materials. 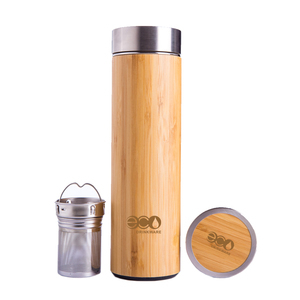 Wide Mouth Drip Free Non Leaching Bamboo Lid With Stay Dry Technology For Mess Free Thermal Tea Infusing or Fruit Water on The Go Engineered Precise Vaccum Double Wall Insulation To keep Your Drink Ice Cold or Hot All Day Long. Precise Tea Basket Design: Our perfectly designed stainless steel tea baskets infuse your tea faster with a fuller taste. Yongkang Zhuotong Houseware Co., Ltd.
Diller Water Bottle Custom Double Wall Insulated Stainless Steel Metal Thermal Vaccum Vacuum Flask Tea Thermos Our Advantages &bull; We are a factory specialized in all kinds of drinking water bottles &bull; we can provide the most competitive price because of no middleman between us &bull; only select 304 (18/8) stainless steel to produce the stainless steel water bottles or adopt the materials according to our clients&rsquo; requirements &bull; Perfect OEM/ODM service. More than 800 domestic customers and around 180 overseas clients have established business cooperation with us so far, such as Disney, Starbucks, MINISO, Skoda, AIA etc. Quality Control & Testing Reports Our Team & Exhibition Packing & Shipping Diller water bottles usually delivered by DHL, FedEx, UPs, Aramex, TNT, China Post, sea etc. 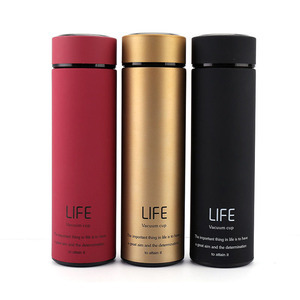 Alibaba.com offers 151,506 thermos products. About 35% of these are vacuum flasks & thermoses, 9% are mugs, and 8% are water bottles. 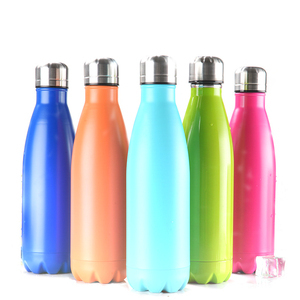 A wide variety of thermos options are available to you, such as ce / eu, fda, and lfgb. You can also choose from eco-friendly, stocked. As well as from vacuum flasks & thermoses, mugs, and water bottles. And whether thermos is stainless steel, aluminum alloy, or aluminum. There are 149,651 thermos suppliers, mainly located in Asia. The top supplying countries are China (Mainland), India, and Hong Kong, which supply 97%, 1%, and 1% of thermos respectively. 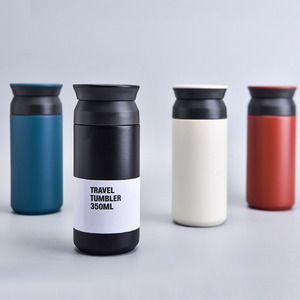 Thermos products are most popular in North America, Western Europe, and Domestic Market. You can ensure product safety by selecting from certified suppliers, including 32,287 with ISO9001, 13,971 with Other, and 8,677 with BSCI certification.